The Brush tool is the primary tool for using any of the brushes in TwistedBrush Pro Studio. 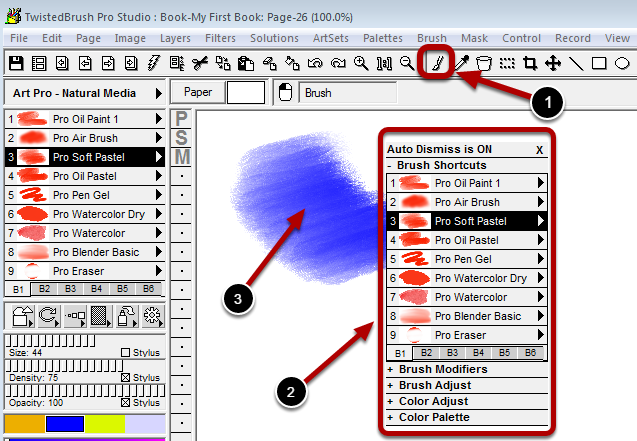 A right mouse click when using the Brush tool will display the popup Paint Color Panel. See the Paint Control Panels topic for more details. Left click and drag on the canvas area to apply paint.